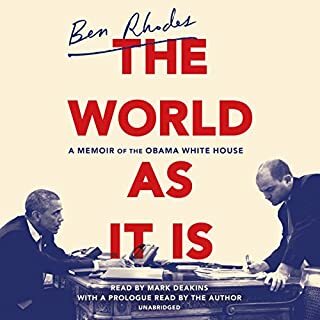 "Ben Rhodes is a charming and humble guide through an unprecedented presidency. He writes well, even though he has a master’s degree in creative writing, and he has a good eye. He observes that the national security adviser Jim Jones “had a strange habit” of giving advice to Obama “while looking at someone else in the room.” He describes furniture in Cuba “that went out of style so long ago that it’d be trendy in Brooklyn.” And that’s about as ferocious as he gets. There is no retributive backbiting of internal opponents like Hillary Clinton or Stanley McChrystal. In fact, Rhodes is far more candid about his own foibles. He drinks hard liquor, to the point of an occasional hangover. He smokes, furtively. He eats Chinese takeout, to excess. And he grows. He never quite loses his idealism; in a crass political era, he impressively avoids becoming a cynic. As a result, his achievement is rare for a political memoir: He has written a humane and honorable book."